Taking forward its legacy of offering best-in-class tyres for passenger and commercial vehicles, Apollo Tyres Ltd today announced its entry into the two-wheeler tyre segment in India. 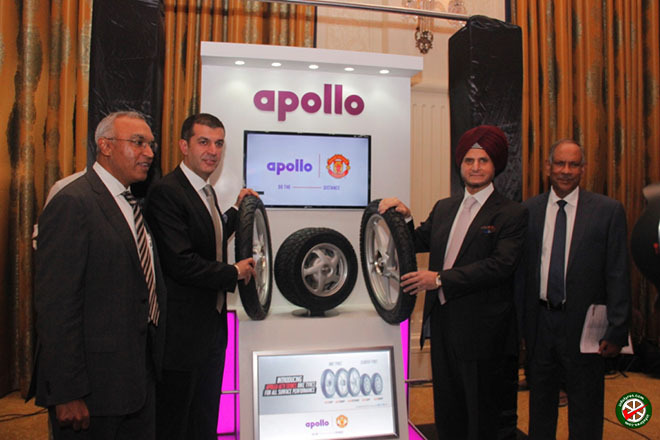 All-new Apollo Acti series two wheeler tyres were unveiled today by the company. Designed and developed at the company’s Global R&D Centre in Chennai, Apollo Acti series for bikes and scooters, would cover nearly 85% of the replacement market for two-wheeler tyres in India. 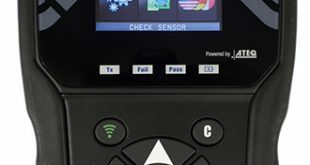 manufacturers. As per rough estimates, India currently has 120 million two-wheelers. This, in addition to the demand from the business partners for the company’s two-wheeler tyres, led to Apollo Tyres’ foray into the two-wheeler tyre segment. The Apollo Acti series tyres are capable of excellent dry and wet braking besides having very high levels of cornering stability which becomes essential in Indian driving conditions. Designed with primary focus on grip, safety and comfort, these tyres are robust with optimally oriented tread blocks and grooves for ultimate grip and high speed cornering performance. Made with new age polymers-based high mileage tread compound, these tubeless and tube type tyres have stress free casing structure with extra protection at tread and bead area. The exciting range of Apollo Acti series tyres will be available for sale immediately at Apollo authorised business partners in all the major markets across the country. Apollo Tyres is launching 3 patterns for rear application for motorcycles, actiGRIP R1 and R2 in block pattern, and actiZIP R3 in directional pattern. The block pattern designs cover different applications, such as on-off road and urban & highway in different climatic conditions. Rear tyres being the most important ones responsible for providing safety through straight grip and leaning grip for cornering stability at high speeds, the tread blocks and grooves are optimally oriented for better dry and wet grip. Directional pattern actiZIP R3 is designed for wet and dry grip in highway application. This tyre also offers better stability during high speed biking. The company is launching 3 patterns for front application in motorcycles, actiSTEER F1 in straight rib pattern and actiZIP F2 and F3 in directional patterns. For front tyres, maximum emphasis has been given to enhancing the handling and overtaking capabilities, in addition to other features like braking stability and straight ahead stability, along with comfort. Apollo is introducing 2 directional patterns for front and rear application in actiZIP S1 and S2, and 2 block patterns for rear application in actiGRIP S3 and S4. Directional patterns are for precise steering control and cornering along with an excellent tread mileage and road holding characteristics. Block patterns are for superior traction on all terrain applications. These tyres also ensure enhanced traction in sand and muddy surface with excellent mileage.